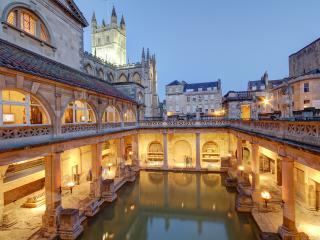 Located in southwest England, Bath is renowned as one of the top ten tourist cities of Britain. Nestled between the Mendips and Cotswolds hills, Bath is a popular holiday destination that draws thousands of tourists to its city each year. Bath accommodation is well-equipped to cater for these visitors and offers comfortable and affordable accommodation options for all those who venture to see the city’s stunning Georgian terraces and buildings. Once a fashionable aristocratic spa resort created by 17th century Romans, the city was originally settled by the Celts and offers a rich and fascinating history.